How do expatriates rent an apartment or a house in China? Rending an apartment or a house in China is the same thing like what we experience in West. In my personal opinion the biggest problem is our language capacity is not enough to handle the issue. There are ways to get an flat or a house by using internet, real estate agency, or asking your colleague or friends for help. Finding an apartment online. Finding an apartment to rent online is not easy in China. There are thousands of apartments on the Internet and it is hard to tell the quality, even if they look very good in the picture. You will have to spend some time at it. If you see a really good one and it is available, contact the landlord or the agency and visit it as soon as possible. After visiting you can ask them to keep the apartment for you, but the landlord won’t hold it long without a deposit. Once other people decide to give a deposit, the flat is gone. Unless you speak Chinese, looking online for your flat is not a really practical solution, but it can give you a rough idea of the market. In Jiangsu there are many gardens in its cities and some of them are the best ones in China. These gardens use Chinese traditional ways and techniques to design, layout and construct these fabulous gardens, which are different with Western style gardens. 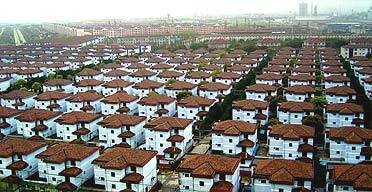 Many of expatriates living in Jiangsu may not know Huaxi, officially the country's wealthiest village. Take the municipal government's stretch limousine across Textile Bridge, pass the smokestacks of the steelworks, speed alongside row after row of symmetrical pale-blue houses, skirt the 15-storey pagoda hotel and then alight for a walk down the red-carpeted corridor of capital. This concrete-covered passageway is a monument to the giddy material progress made by the commune since China's policymakers began mixing their ideological drinks 26 years ago. The new high speed train from Shanghai to Nanjing, which began operations on Jul. 1, 2010, has cut travel time between cities from three to four hours to about one hour and 40 minutes with prices 56 percent higher than regular trains. Train speeds can go as quickly as 300 km per hour and trains starting with G have the highest speed. Ticket prices begin at RMB146 for a one way second-class seat and RMB230 for a first-class seat. The difference in comfort between the two is not huge. The second-class seats have five people per row or 100 people per carriage as opposed to first class with only 80 people per carriage. The Qingming Festival (traditional Chinese: 清明節; simplified Chinese: 清明节), meaning Clear Bright Festival, is a traditional Chinese ancestors day. Its calculation is on the 104th day after the winter solstice (or the 15th day from the Spring Equinox), usually occurring around April 5 of the Chinese calender. For 2012, the festival falls on April 4 and this holiday is from April 2 to 4, and is a public holiday. Chinese people treat it as an agriculture festival and a family day to commemorate their ancestors.